WordPress powers 24% of the internet. That’s more than 75 million websites. If you’ve read my guide to setting up an online shop, you’ll know that I already recommend it highly. It’s the best place to start your new online shopping empire. Hold up, what exactly is WordPress? 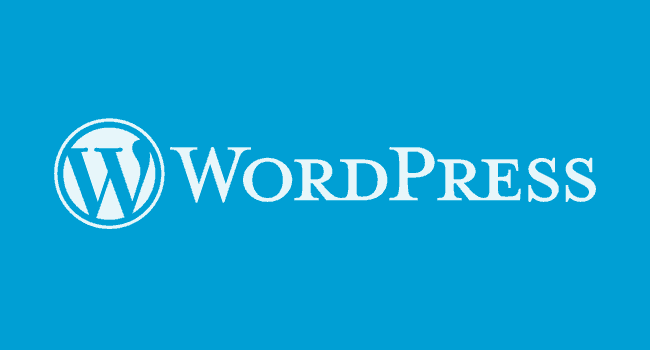 If you’re new to the game, WordPress is a platform that lets you build your own website. You choose the design, the layout, the address. They do all the computer trickery. It’s the easiest and quickest way to create your own site. Before we go on, it’s worth noting that I’m talking about WordPress.ORG not WordPress.COM. There’s a difference. On WordPress.COM, your level of control is limited, and you share the host with millions of others. On WordPress.ORG, you download the software and host it yourself. It’s a little more work, but you get lots more control and creativity. If you’re building an online store, WordPress.ORG is where you need to be. Okay, so why do online shop owners love it? You can’t argue with WordPress’ pricetag. It costs nothing to download the software and get started. You’ll notice that other online shop options usually come with a startup cost. The main competitor, Shopify starts at a steady $29 a month charge, for example, and gets more expensive as you grow. Other platforms, like Etsy and eBay, take a healthy chunk of your sales revenue. With WordPress, you can set up shop and sell your first product without paying a penny to the host. They let you keep more of your profit than any other service online. If you’re a new shop owner, every penny counts. WordPress boasts a famous ‘five-minute installation’. It’s not an exaggeration. The step-by-step guide leads you through it with ease and you’ll have a website online in minutes. The only tricky part is setting up your web hosting. To use WordPress.org, you’ll need a best blog hosting. That’s the plot of land that lets you build the website. Luckily, at Bitcatcha we have all the web host answers! We feature a full list of recommended web hosts so you can find the right one for you. We’ve even interviewed users and asked them how well their web host performs. A lot of people avoid building their own website because they don’t know how to write code. The beauty of WordPress is that you don’t need to know a single line of HTML (though it might help a little). This is perfect for online shop owners who just want to focus on selling their product! There are thousands of free themes – or designs – that you can choose from. A theme is a template for your site that you can tweak and change. Most of them are free; you simply click your favourite and watch your website transform into your preferred design. Personally, I recommend paying a little money for a unique and better quality theme. If you’re looking for a quick answer, try the Avada theme. It’s the most popular theme out there, and it instantly gives your site a professional feel. You’ll also want to make sure the theme is compatible with WooCommerce. (WooCommerce is the toolkit you’ll need to drive the shopping mechanism on your site). A theme like Divi is perfect for this. You may not know this, but more than half of all internet access takes place on a mobile device. That means most of your potential customers are using a smartphone or a tablet at any one time. Mobile internet access has now surpassed desktop and laptop access. 52% of tablet owners prefer to use that device for shopping. 27% of all online sales took place on a tablet in 2014. But how on earth do I create a mobile website?? You don’t, WordPress does it for you! Just remember to choose a responsive theme when designing your site. ‘Responsive’ means that your site will adapt to whichever device connects to it. If your customer is on an iPhone, your online shop will morph to suit an iPhone screen. If it’s a tablet or desktop, it will snap to fit the bigger screen. 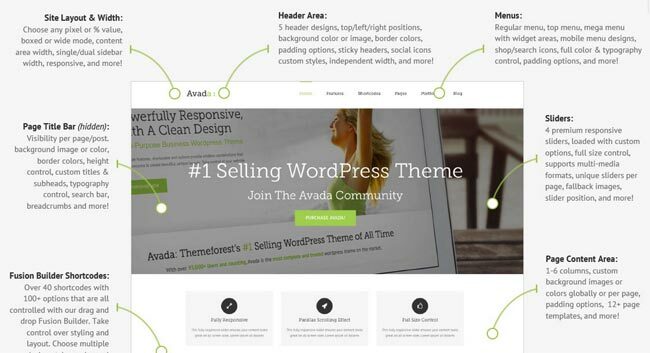 The Avada theme I recommended before is fully responsive. Choosing a responsive WordPress theme means you don’t have to worry about where you customers are coming from. You just have to make great products. ‘Plugins’ are simple bits of software that plug in to your website to add new features and functions. If you’ve got an idea for your website, there’s almost always a plugin to help you do it. Want to collect email addresses with a sign-up form? Easy, the MailChimp plugin will take care of that. Want to automatically calculate shipping and tax for your customers? Easy, there’s a WooCommerce add-on for that. Want social media sharing buttons all over your website? A social plugin will do that too. Simply load up your WordPress admin page and head to the ‘plugins’ tab. Search for the one you want, and you’ll download it with one click. You don’t need any technical know-how to do this either. All the customization options are simple and straightforward. Did you know that 51% of shoppers abandon their online cart because they don’t feel comfortable entering their credit card details? Online fraud is a very real concern. And, if you’re running an online store, you’re handling some incredibly delicate information. You need a platform that you can trust. And that your customers trust. WordPress is tightly protected against hackers thanks to its enormous infrastructure. You don’t get to power 75 million websites without a strong security system! You can trust WordPress, and so can your customers. In the next few weeks, we’ll reveal the essential themes and plugins that will turn your online store into a money-making machine, so stay with us. P.s. I’d love to hear from any shop-owners currently using WordPress. Do you have positive (or negative) experiences on the platform? Please share your thoughts or questions in the comment section. Now, see why the top WordPress online stores use Managed WordPress hosting platform as their base.